Bills for water service are rendered monthly and become due and payable upon issuance following the period for which service is rendered. A late payment charge of 1% per month will be added to bills not paid within 20 days of issuance. This late payment charge will be applied to the total unpaid balance for utility service, including all unpaid late charges. The late payment charge is applicable to all customers. The utility customer may be given written notice that the bill is overdue no sooner than 20 days after the bill is issued. Unless payment or satisfactory arrangement for payment is made within the next eight days, service may be discontinued pursuant to Chapter PSC 185, Wisconsin Adm. Code. Wisconsin Public Service Commission governs all water rates for the state of Wisconsin. Questions regarding your Water/Sewer utility bill can be addressed at City Hall or by calling our Utility Billing Clerk at 715.258.4411. 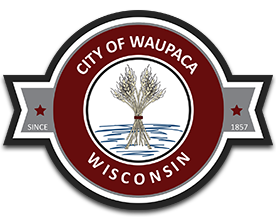 The City of Waupaca uses Payment Service Network to allow you to receive and pay your utility bill online. Learn more about online bill paying. If your water and sewer bills seem high, don’t blame your water meter or the Water Utility, stop your water leaks! You probably do not realize that a dripping faucet or other unsuspected leaks may be the cause. The smallest of these leaks at a cost for water and sewer billing of $5.50 per 1000 gallons will add over $336 per year to your annual bill!!! Turning off water to outside faucets, drain and leave faucets open. Make sure all basement windows are securely closed. Repair broken panes. Repairing cracks or holes in the foundation. Insulate along floor joists. Making sure all rooms containing water pipes are kept above freezing, especially if house will be vacant. During sub zero weather, leave cabinet doors open under sinks, especially if pipes are on an outside wall. If the water meter is enclosed in a cabinet, leave the door open so that heat can circulate during the winter months. If your water pipes freeze, we recommend using a hair drier to thaw them. Never use a blowtorch or any open flame to thaw pipes. Please check areas near your water meter and connecting piping to protect from freezing or damage due to construction or remodeling. The average cost to repair a frozen or damaged water meter is $30.00. The cost of protection and repair of your water is at your expense. The city of Waupaca is required by law to implement the private well permit program for all private irrigation wells located within the city limits as outlined by the Wisconsin DNR. The city has established a 5 year city permit for those wells. To obtain that permit, each well owner must submit a safe water test result, a $40 permit fee and pass a city onsite inspection of the well.